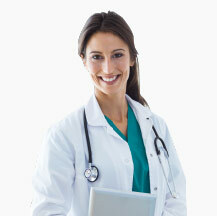 Dr Batra’s Health Care Group is founded by Dr Mukesh Batra in 1982 in Mumbai. The Group today is the leading Homoeopathic healthcare corporate, having 188 clinics across 100 cities with its presence in India, Dubai and London. In 2009, the company introduced Aesthetic Services through its flagship brand Dr Batra’s Aesthetic Solutions Pvt. Ltd. The aesthetic solutions arm of Dr Batra’s, offers a wide range of services like hair transplant, obesity solutions and skincare solutions. Dr Batra’s Cyber Clinic (www.drbatras.com) has been listed in the Limca Book of Records (Editions 2004 and 2005) for becoming the first-ever cyber clinic to offer online consultation to over 4.5 lakh patients every year. It has also launched the world’s first tele-homoeopathy clinic which enables real-time multi-location connectivity. The brand is the only Homeopathic Most Trusted No. 1 Ranked Brand by The Brand Trust Report – India Study 2013, and feted as a Power Brand for the year 2012 by Planman Media. Dr Batra’s is the world’s first homoeopathic healthcare corporate to receive the much-coveted ISO 9001-2008 Certification. Moreover the brand is well known for its philanthropic work of offering free treatment services to the underprivileged sections of the society.